The Flintstones wallpaper. . HD Wallpaper and background images in the I Flintstones club tagged: the flintstones wallpaper the flintstones wallpaper fred wilma barney betty. This I Flintstones wallpaper might contain anime, fumetti, manga, and cartoni animati. 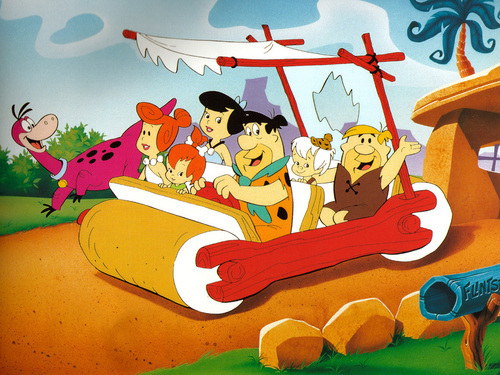 I love The Flintstones. I grew up with them. My boys grew upwatching them and there will never be another cartoon like them.